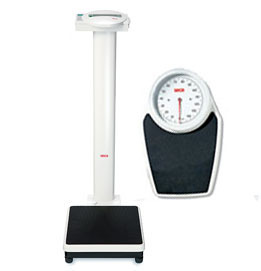 MediSafe supplies the Seca range of medical scales and height measuring instruments. View PDF of prices and specifications here. With more than 165 years in the business, Seca are the world’s market leader for intelligent, innovative and above all practice-tested solutions for medical scales, and offer a wide range of first class quality products for all practice areas. Maximum comfort, safety and precision. Maximum precision with an easy to operate range of functions. Durability, functionality and size allows medically precise weighing results in even very confined spaces. Made of wear resistant hard aluminium with indelible measuring graduations to guarantee accurate and permanently reproducible results. Please note prices are EX VAT and excluding delivery charges. For further information view the Seca Scales and Height Measuring Devices Catalogue or if you have any queries please contact us at MediSafe Ltd.